The sense of “you are there,” of presence, you already get from the Oculus Rift and Morpheus prototypes makes 3D movies look like the sad gimmicks they are. Nonetheless, there’s still lot of work to be done on these prototypes, and neither one is ready for store shelves. 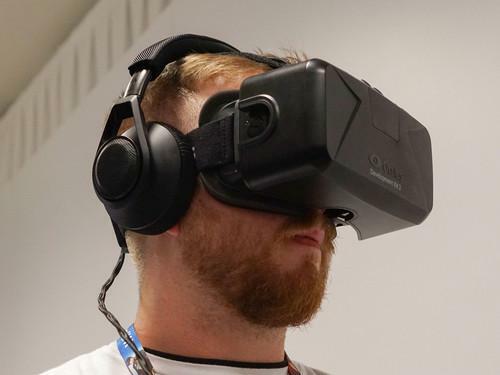 Facebook is actively looking at ways to make its $2 billion acquisition of virtual reality headset maker Oculus Rift part of the social media experience. At a re/code conference Tuesday, Chief Product Officer Chris Cox said the company is working on VR apps, and he also said he expected users to one day upload and share VR content. As re/code pointed out, creating that content is currently a nontrivial affair; Cox also told the publication that "We're probably a long way from everyone having these headsets." Lenovo is the latest leading server vendor exploring the potential for ARM chips to offer a power-efficient alternative to systems based on Intel's processors. It's building a prototype system with a U.K. partner, aiming to see if it can scale up system performance while keeping power consumption low. Some of the biggest players in big data have agreed to specify a unified base platform for the open source Hadoop software. The effort by IBM, Hortonworks and Pivotal should reduce the work needed by customers to build and maintain complex data analysis systems. The Stuxnet computer worm that was used to sabotage the Iranian nuclear program was likely preceded by another piece of malware that used some of the same exploits and spread through USB thumb drives to computers isolated from the Internet. Russian antivirus firm Kaspersky Lab is calling the older worm Fanny and linking it to a cyberespionage group it's dubbed Equation -- and hinted is linked to U.S. intelligence activities. The massive download of information coming out of Kaspersky Lab continued late on Tuesday with revelations about an Arabic cyberespionage group that the vendor says has attacked thousands of targets in Egypt, Israel, Jordan and other countries. This group, which the vendor has named the Desert Falcons, seems to be politically motivated: its targets have included politicians and prominent activists. cloud storage providers, writes Computerworld's Gregg Keizer. As if Google's antitrust battles in the European theater weren't enough, it looks like all is not quiet on the Eastern front: Russian search company Yandex wants the country's Federal Antimonopoly Service (FAS) to open a probe into Google's activities, reports tech.eu. Yandex thinks the regulatory spotlight should be turned to the mobile space, specifically how Google bundles services, including search, with the Android OS. You may have fond memories of simpler times with your old View-Master but kids today expect more. Now Mattel is teaming with Google to reimagine the toy as a virtual reality headset. Companies may think they're saving money by ordering up computing cycles from cloud providers -- and they may be wrong if they aren't careful, argues this Wall Street Journal piece.